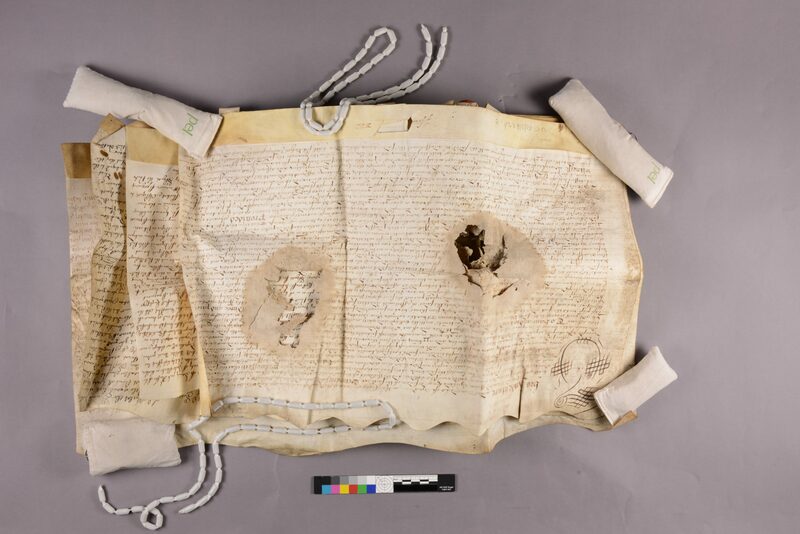 This work was performed during a placement in 2015 in the Oxford Conservation Consortium. 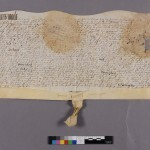 It was part of an on-going project about leases for properties of Oxfordshire from the University College archives. 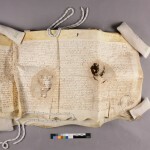 These documents from the late 16th to the late 17th centuries were mainly written with iron-gall ink on parchment and most of the time, they included one or two wax-seals. 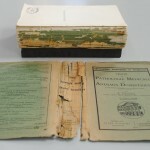 The documents had been exposed to water/moisture in the past. 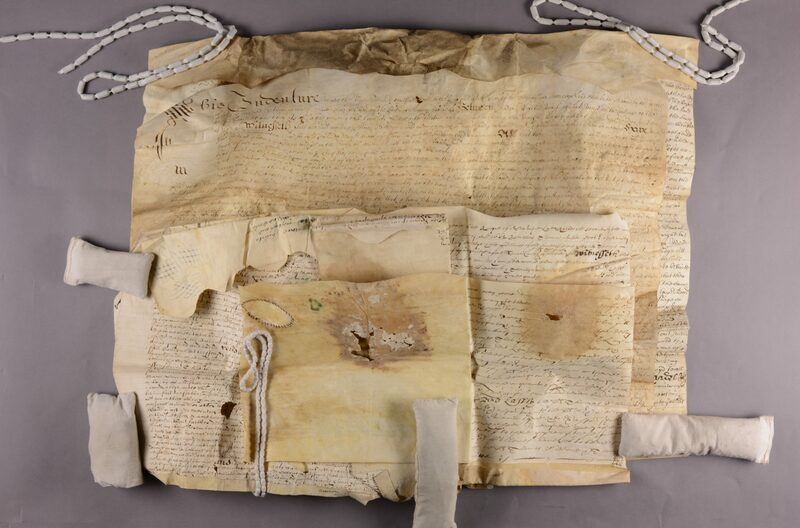 Several leases were tied together with a parchment strip, then were rolled up in bundles in the early 18th century and left aside for years. 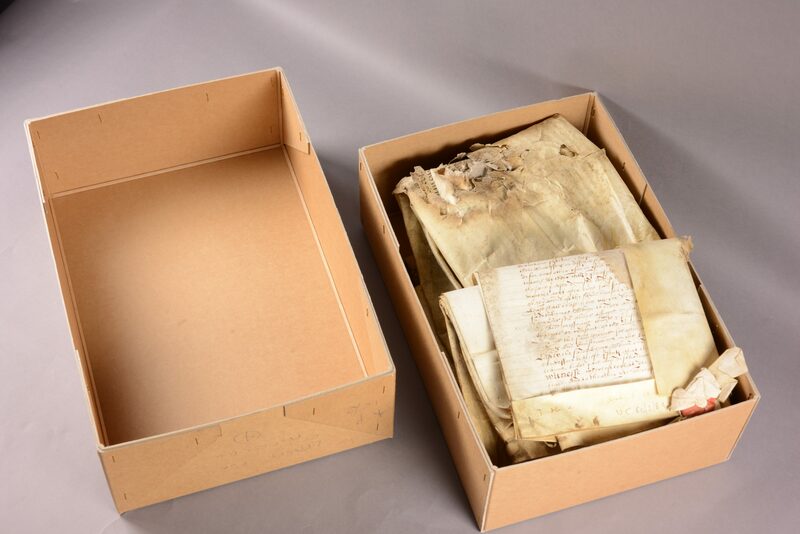 The purpose of the work was to clean, stabilise and rehouse the documents. In order to do so, it was agreed that the ties holding them together could be removed, so that they could be handled more easily. 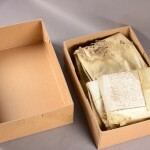 The individual leases were humidified and flattened as they were too damaged to be folded and unfolded by searchers. 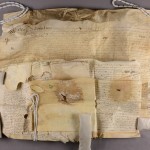 Storing them flat in archival boxes will allow an easier and safer handling of the leases, therefore providing a better access to research and study. 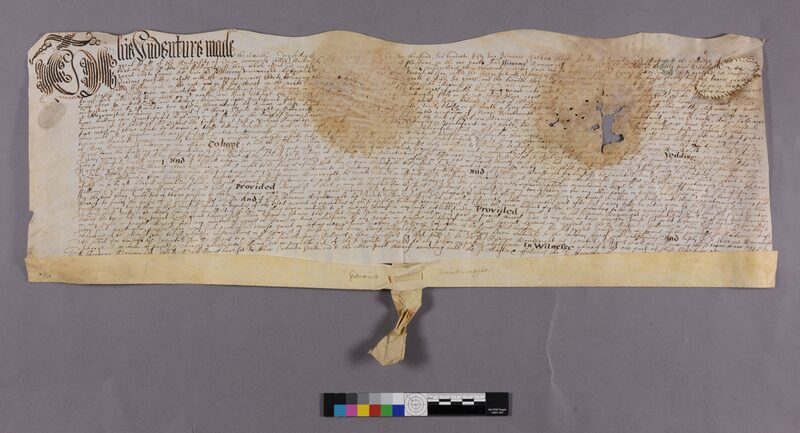 “Oxford University College Parchment Leases” – Before treatment. Reference pictures before treatment. Boxes from the archives. Reference pictures before treatment. Unfolding bundles. Cleaning of the leases. Use of smoke sponge and soft brushes. 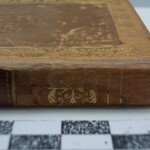 Relaxation of parchment with humidity. Use of deionised water spread on a capillary mattig, with a sheet of Gore-Tex® on top. 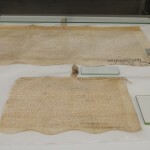 The document is then placed on the Gore-Tex® and covered by a sheet of polyethene. 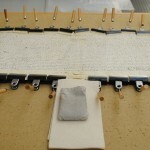 Drying parchment under tension. 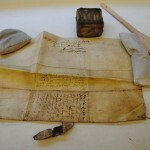 The document is clipped to a board to dry under tension. 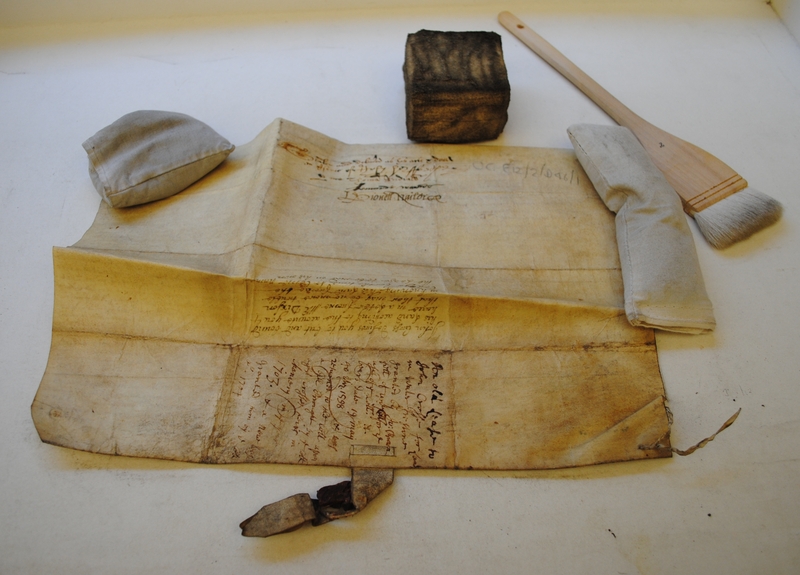 Parchment document after humidification and drying.